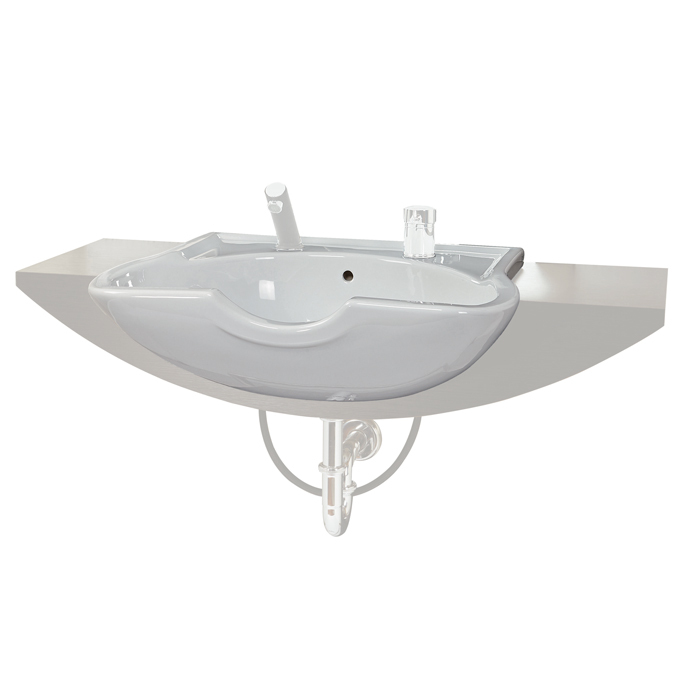 Procelain barber shop wash basin, shelf not included. Height of shelf must be at least 93 cm. The chair used with it must be able to rotate and tilt.